Avalon Affinity in Moselle, Germany. Photo courtesy of Avalon Waterways. Launched in 2009 and measuring 361 feet in length, Avalon Affinity transports up to 138 passengers along the beautiful waterways of Europe. 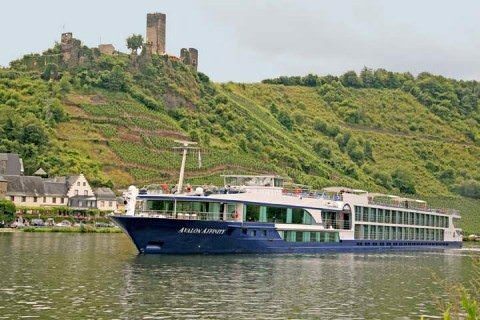 Sailing the Rhine, Main, Danube and Moselle rivers, Avalon Affinity offers a relaxing, elegant way to see some of Europe’s most fascinating cities and towns. Category A, B and P staterooms aboard Avalon Affinity feature sliding glass doors with French balconies. Photo courtesy of Avalon Waterways. There are five different categories of staterooms aboard Avalon Affinity. Located on Indigo Deck, Category E staterooms measure 172 square feet and feature two windows located near the ceiling of the stateroom. They also feature a full bathroom with a glass door enclosed shower, a writing desk, vanity, and Avalon’s deluxe beds with premium mattress covers, Egyptian linens, European-style duvets, and a choice of firm or soft pillows. Categories A, B and P also measure 172 square feet, and are located on the Sapphire and Royal decks. 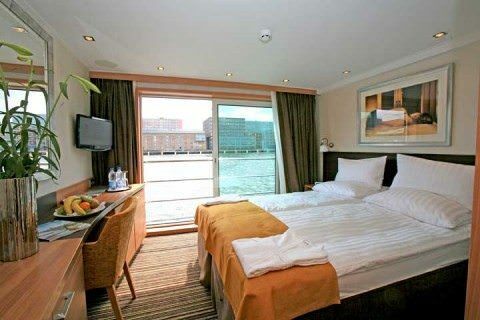 These staterooms feature floor-to-ceiling windows and a French balcony. All guests have access to a welcome list of amenities, including nightly turn-down service, spacious three-door closets, flat-screen TV with movie channels, bathrobes and slippers, complimentary bottled water and L’Occitane toiletries. Like her sisters, Avalon Affinity offers a host of amenities designed to ensure your stay aboard is pleasurable. Throughout the ship you’ll find wall-to-wall panoramic windows so that you never miss the incredible scenery passing by. The ship is also fully equipped with Wi-Fi access and a dedicated internet center, as well as a fitness center, and an outside viewing deck, the Sky Deck featuring premium lounge chairs and a whirlpool. Avalon Affinity’s interior is non-smoking. Headsets are available for guests on guided shore excursions. Room service, including continental breakfast, is available. Avalon Affinity has a dedicated cruise director and onboard lecturers, as well as nightly entertainment. Read other articles on River Cruise Advisor about Avalon Affinity. 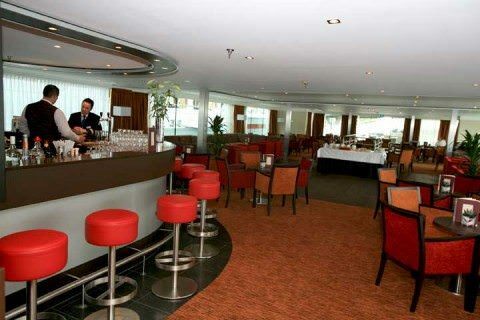 Click Here to see a list of all Avalon Waterways’ Ship Reviews. Day 7: Avalon Creativity Cruise Review: Seven Days On The Seine, Does Avalon Measure Up? 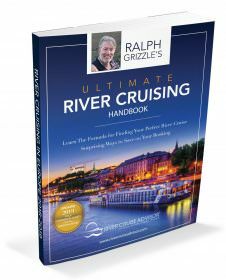 Want My Help With Your Avalon Waterways Cruise? 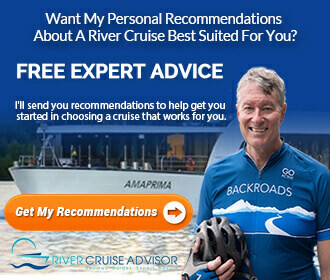 By submitting your contact information, you agree that your email address may be shared with a travel expert or river cruise company who can help me find the perfect cruise for you. Read other articles on River Cruise Advisor about Avalon Waterways.